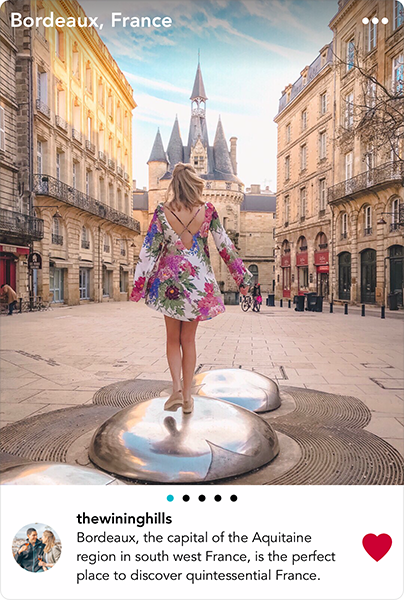 "One of the best travel apps I've ever downloaded"
"Every Traveler Needs this App"
From swimming with stingrays in the Cayman Islands to devouring Pastéis de Nata in Lisbon, GoHype has something for every kind of traveller. Find your next trip today. Save up to £25 / $30 on your first booking. Limited time only! Discover the travels of your favourite bloggers, with the chance to re-live their experiences with your own added flair. Our bloggers reveal their entire trip to you, including their destination, hotel, attractions, trip photos, highlights and travel tips. Each trip is unique and is packed with insight from both experienced bloggers, and our location team at GoHype - ensuring that you get the most out of your trip. "This makes planning a trip so much easier"
"This is the most simple and quickest way to book a holiday in my experience"
Once you've chosen a destination, it's simple to customise your flight, hotel and attraction options. Unsure about where to stay? Select the blogger's recommended hotel, or filter through our top picks to find the best rated hotels for each budget. View hotel and attraction reviews from other travellers, all within GoHype. We make sure you'll only need one app for your next vacation. Book your trip with just a few taps, and take the stress out of holiday hunting. Best of all, you receive the same protection from our partners as you would when booking through them directly. Have your flight, hotel and itinerary details all in one place and book through our partners with ease. "Real adventures and real reviews all in one!" "All the photos are taken from real experiences... It’s literally your travel bible!"